Our school utilizes the SchoolMessenger system to deliver text messages, straight to your mobile phone with important information about events, school closings, safety alerts and more. You can participate in this service by sending a text message of “Y” or “Yes” to 67587. In order to receive text messaging alerts there must be a cell phone number attached to a student's profile in ASPIRE SIS. To update this information please call the district office at 435-833-1900. SchoolMessenger is compliant with the Student Privacy PledgeTM, so you can rest assured that your information is safe and will never be given or sold to anyone. SMS stands for Short Message Service and is commonly referred to as a "text message". Most cell phones support this type of text messaging. Our notification provider, SchoolMessenger, uses a true SMS protocol developed by the telecommunications industry specifically for mass text messaging, referred to as “short code” texting. This method is fast, secure and highly reliable because it is strictly regulated by the wireless carriers and only allows access to approved providers. If you’ve ever sent a text vote for a TV show to a number like 46999, you have used short code texting. *Terms and Conditions – Message frequency varies. Standard message and data rates may apply. Reply HELP for help. Text STOP to cancel. Mobile carriers are not liable for delayed or undelivered messages. 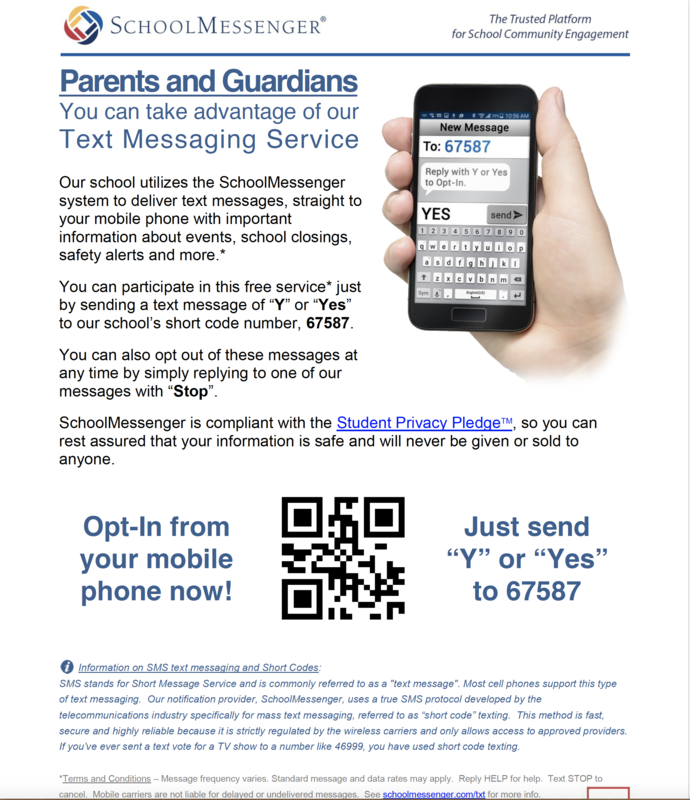 See schoolmessenger.com/txt for more info.